No, seriously, BAGPIPES! 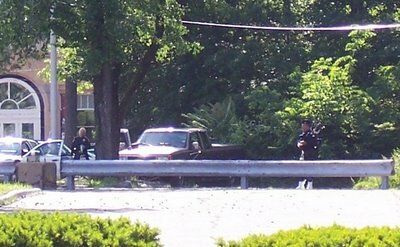 I was leaving work the other day, & I saw this guy in a green plaid kilt, walking back & forth in a parking lot, playing BAGPIPES. There really is no mistaking the sound. So, I pulled out my cam, & snapped a shot. Now, I wasn’t entirely sure that this was gonna come out; me being so far away from him. So, I got in my car, & drove around to the entrance of the parking lot he was in. But there were 2 cop cars already up the driveway, one horse-cop trotting up, & another cop car behind the horse-copper, about to pull into the same drive. So, I just drove off. I figured it had to be one of those “nothin to see here, folks” type situations. Also, the horse stunk. Worse than “circus-elephant stink”. It was pretty bad. So, I just went on home. I guess bagpipes are the new thing here in C-town. Someone told me a local high school had bagpipes playing for their commencement ceremonies. You know, instead of that regular/standard commencement march-piece? Here’s a close-up of the pic. On the right is the bag-piper (bag-pipee? 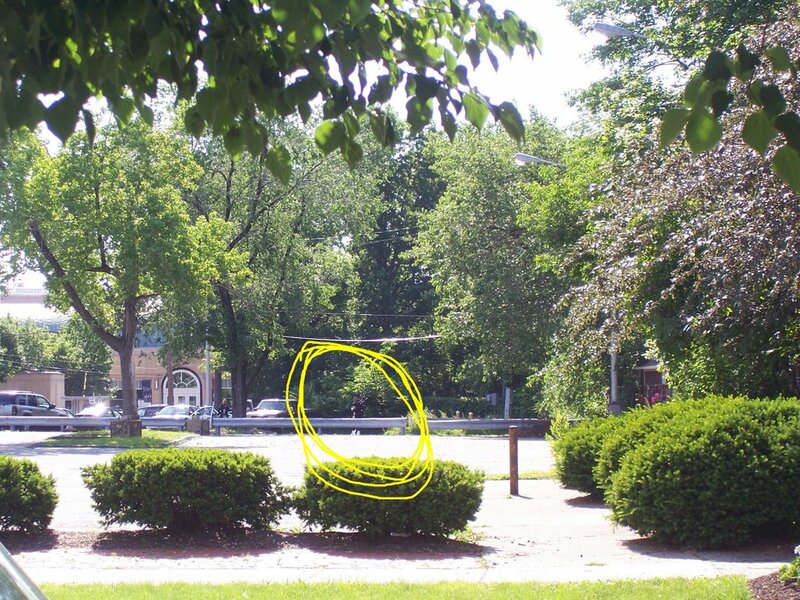 ), & on the left, you can see a cop walking up to him. And I know y’all are thinking that you didn’t realize how beautiful the greenery in Cleveland is. I know, no one talks about how gorgeous it is here. We have great weather most of the time. Ppl are just haters & talk smack about this great city all the time. You can see how beautiful & lush even our parking lots are in that 1st pic. I do love my digital camera. I think I’m in love w/ it! my brother had bagpipes at his wedding. other than it freaked out my then 18 month old son, and sounded like it should have been a fireman’s funeral, it was pretty cool, i guess! Um, I guess everyone needs a hobby. body or from a bone bank can be grafted onto the jaw bone to fill in a gap. Pupils enrolled in an on-line program can teach in places like:.